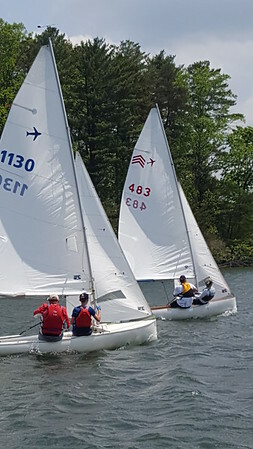 The 2017 Southern Comfort Classic was sailed in moderate, puffy wind both days. 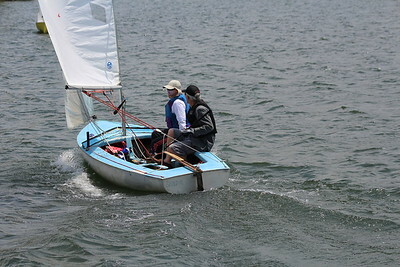 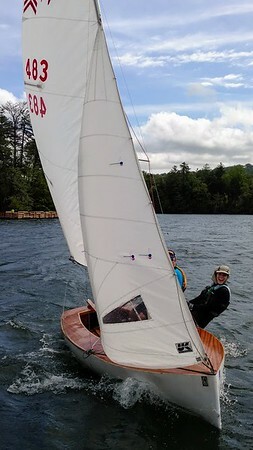 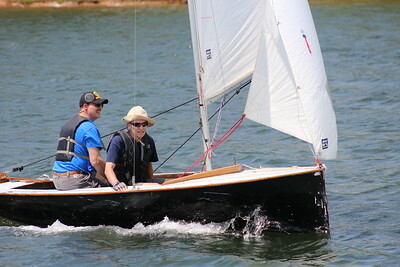 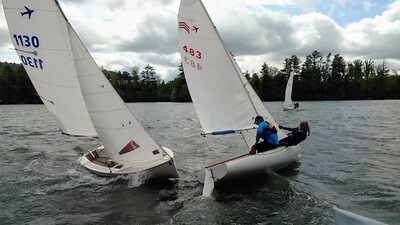 Lenny Wells and Caswell Kern (1130) leave no room for error crossing the transom of Chris Hennon and Lacie Wallace (483). 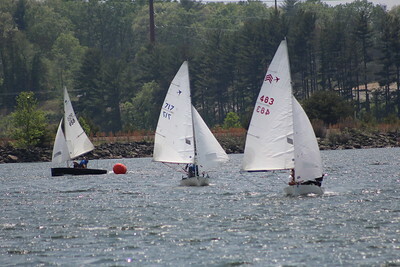 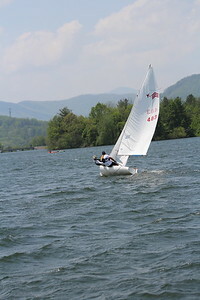 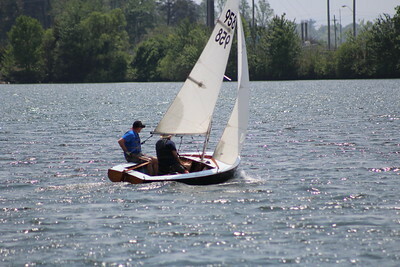 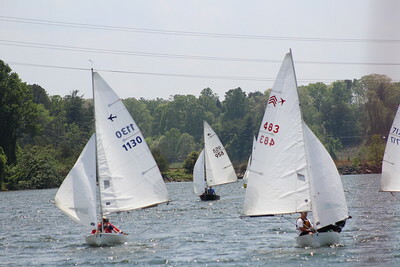 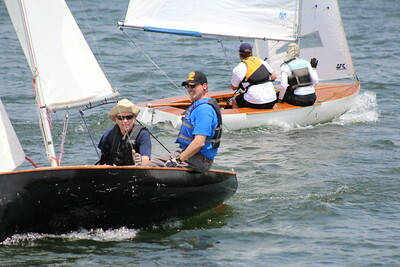 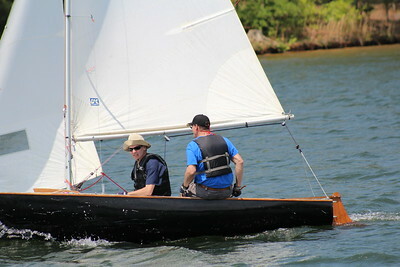 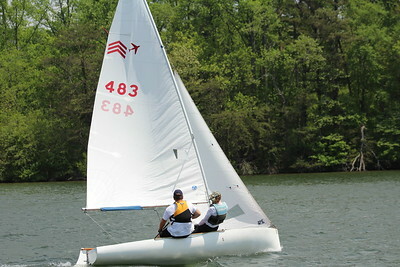 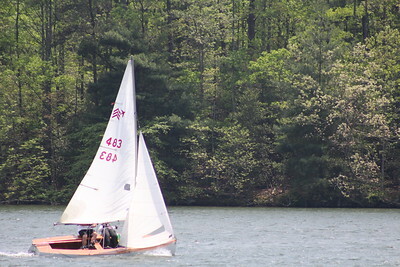 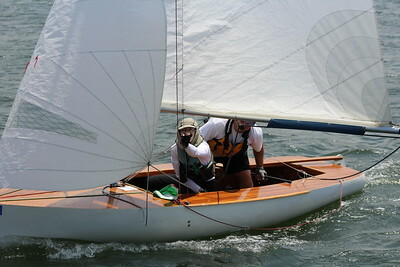 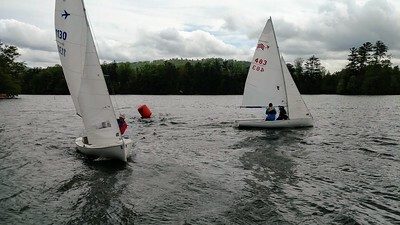 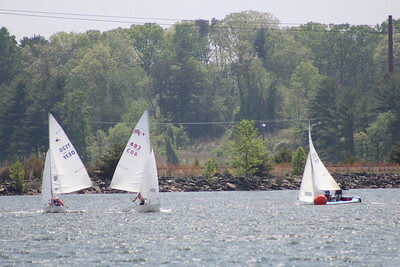 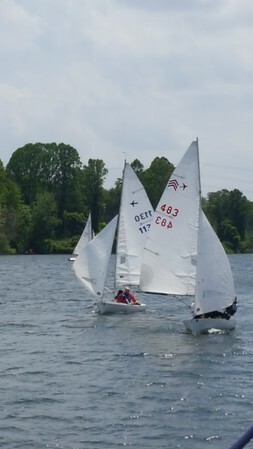 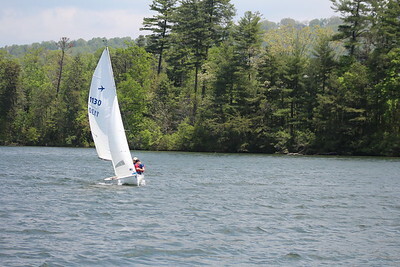 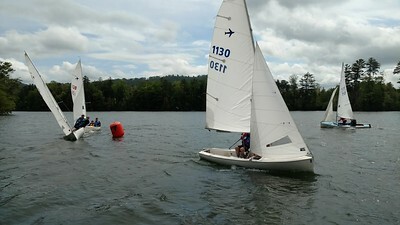 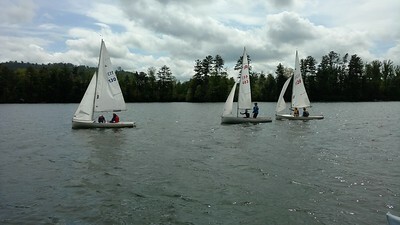 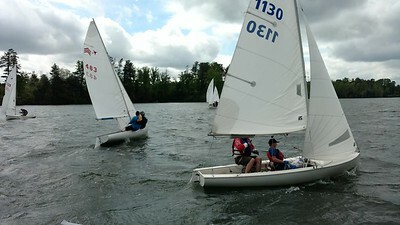 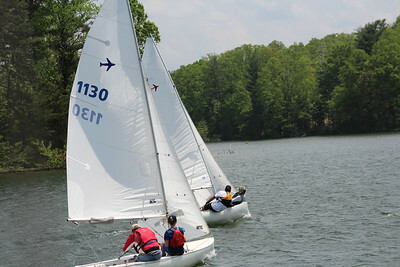 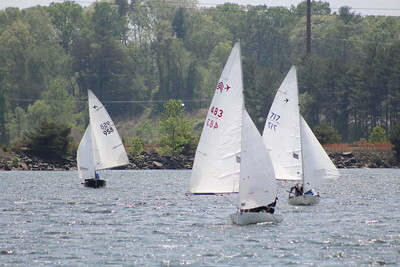 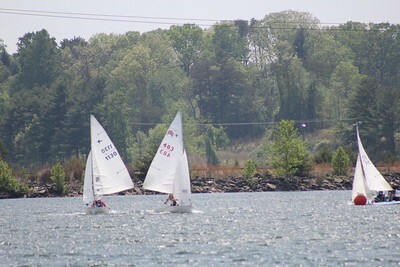 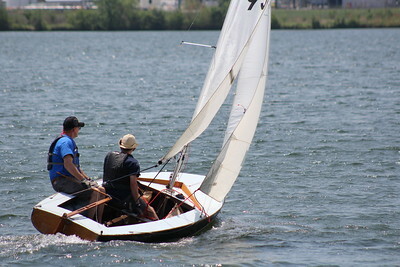 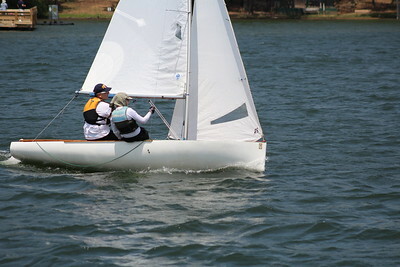 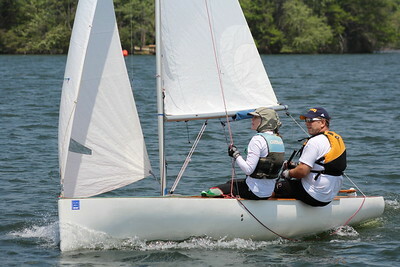 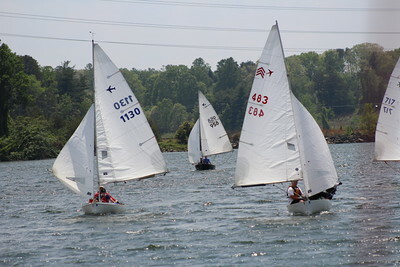 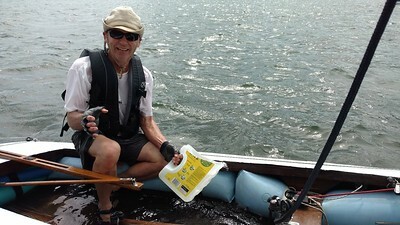 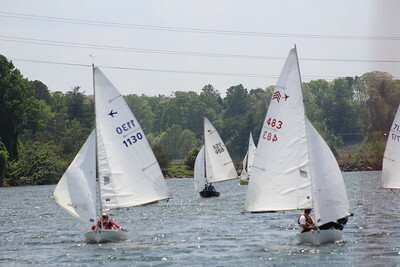 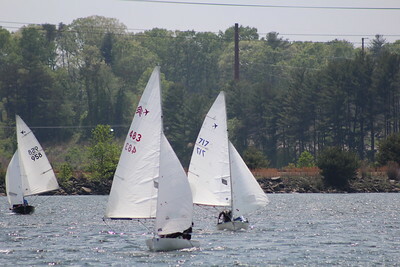 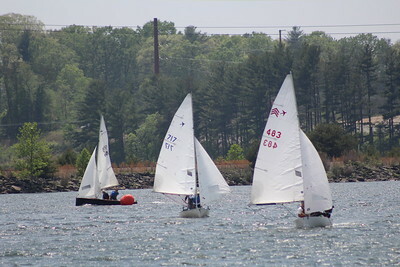 The close proximity of the bottom mark to the spectator area on the dock provided several interesting shots like this.